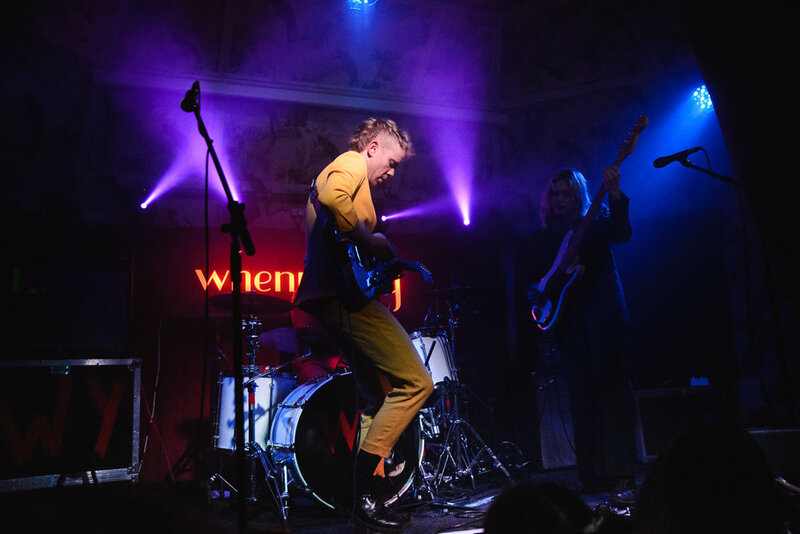 WhenYoung perform intimate show at Manchester’s Deaf Institute as part of their UK Headline Tour. There's something reassuringly old-school about Limerick's whenyoung. Perhaps this is due to the adopted aesthetic, which passionately borrows from a range of significant musical inspirations and visual styles. 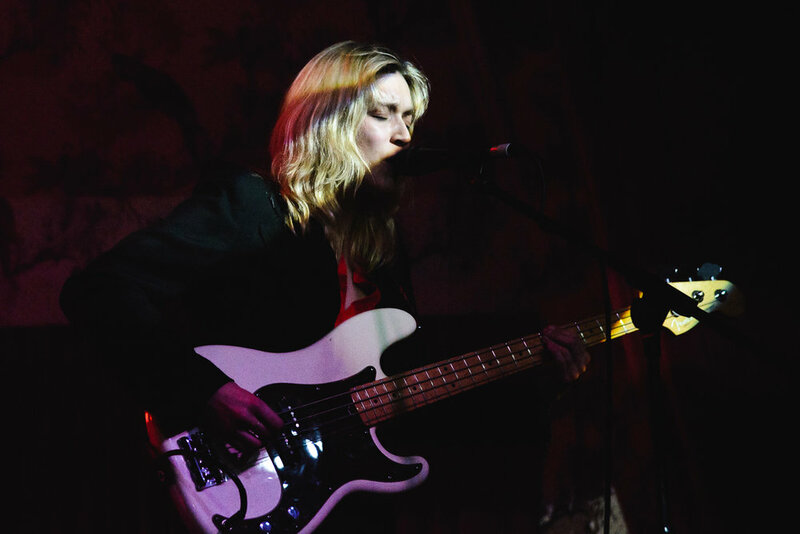 They appear to be moulding these into something fresh though, and it's making an impact; the band are yet to release an album, but by the time they saunter on to The Deaf Institute's compact stage, the venue is almost full. The tour is therefore an opportunity to air a batch of new songs that will be appearing on the full length record later in the year. 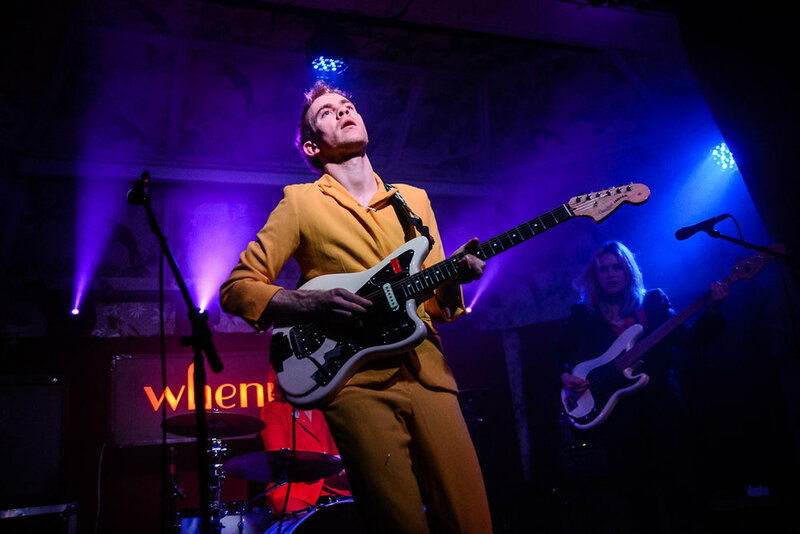 The band open with 'Shiny Things', emerging like Belgium in human form, with singer/bassist Aoife Power bedecked in a sharp black suit next to guitarist Niall Burns in a striking yellow ensemble and drummer Andrew Flood in his vivid red boiler suit. It isn't until next track 'Pretty Pure' that the impact of their energetic, colourful indie pop is truly felt. 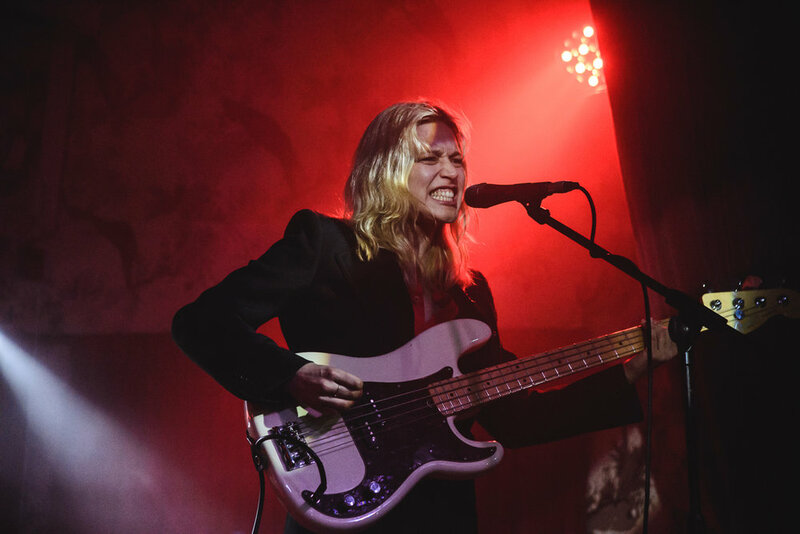 Burns provides the jaunty melody as Power urges the song forward with pulsing basslines and these are enhanced by her intense vocal delivery. A range of enigmatic samples colour the set in-between tracks providing an element of mystery to their material, suggesting an astute and singular sense of purpose on the new record when it does arrive. It isn't until 'Heaven on Earth' that the young crowd really start to get into the groove though. The track is taken from the band's EP Giving Up and the song is full of delicious riffs, an uptempo groove and Power's industrious vocals. The song is so redolent of 90s era indie, it's like we've stepped back in time, but it doesn't seem derivative at all as the energy and colour feel so fresh and for the first time the venue's floor starts to bounce as this brisk spirit transfers to the crowd. Recent single 'Never Let Go' has an epic quality to it, with a chorus you can chant along to and the crowd duly oblige before we experience a change in pace and tone with the more funereal 'Sleeper'. It's darkly atmospheric and although it's probably not the approach that has attracted such a committed following at this early stage in their career, it's fabulous to see a band prepared to take it down a notch or two. 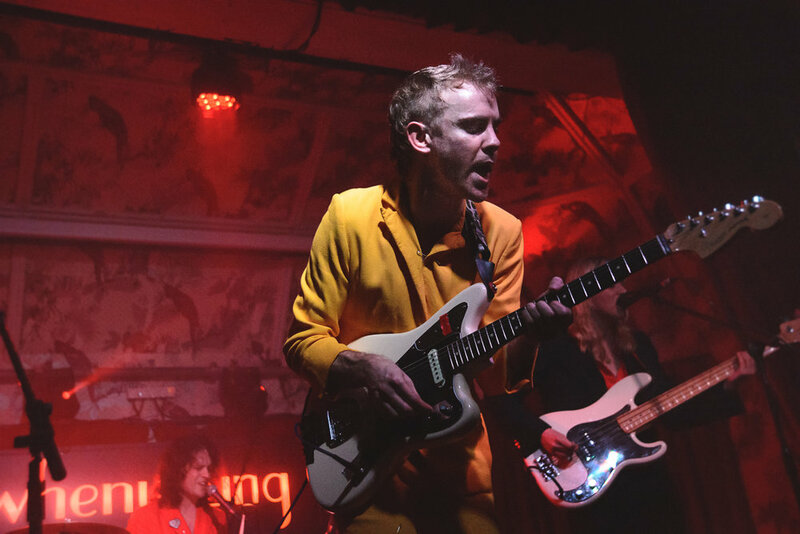 The band clearly have a conscience and 'The Others' addresses the anger felt over the Grenfell tragedy and it is during these moments that it becomes possible to see how this band can endure in such a difficult musical environment. This becomes even more incontestable when you can close a show with the immense 'Given Up'. Even this has a point to make, but it does so with such effervescent energy and an almighty hook and chorus to boot, it's impossible not to be caught up in it all. There may be the suggestion of something a bit sombre lurking in the background, but whenyoung have a keen ability to make you bounce; it's a valuable skill. What this sprightly performance demonstrates is that a band famous for covering The Cranberries 'Dreams' are moving away from the label of Limerick wannabes to something more individual, and when the they swiftly depart, sans encore, the lingering disappointment that they didn't perform this iconic track only manifests briefly.